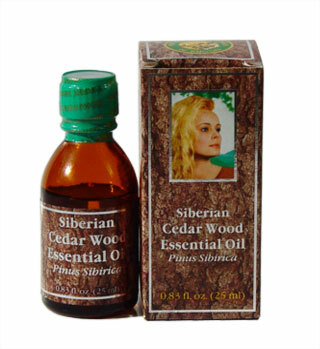 Essential Oils of Siberian Cedar (Pine) are volatile aroma compounds contained in various parts of a plant, mostly in flowers, stems, leaves, fruits and roots. Concentrated liquid extracts of a plant are easily obtained via steam distillation, solvent extraction. 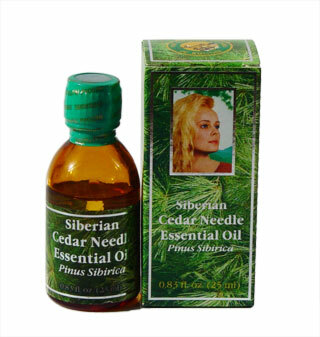 Essential Oils of Siberian Cedar (Pine) have been used throughout time dating back to 4500 BC as perfumes, pleasant aromas and for medical purposes. Nowadays they are gaining a considerable popularity among prophylactic and medical remedies used by alternative medicine. Their pharmacological properties include relaxing effect on nervous system, stimulation of memory and brain work, elimination of emotional stress and hyposomnia and stabilization of blood pressure. It is believed that Basil, Monarda (horsemint), Lavender, Jasmine, Clove and Wormwood oils bring a great benefit to the Immune System. At the same time Lavender extends short-term memory capacity and Wormwood and Rosmarinus (rosemary) improve mental concentration. Such oils as Fennel and Aniseed stimulate lactation. Eucalyptus, Lavender, Aniseed, Peppermint and of Siberian Cedar (Pine) posses antibacterial properties and are used for air disinfection. Using Essential Oils in massage and inhalation the oil molecules easily absorbed straight into the bloodstream through skin pores or lungs. It increases therapeutic benefit because almost full amount of used oil gets to the aim without losses. However, since most Essential Oils are very concentrated, they are often deluded with carrier oils when applied topically. 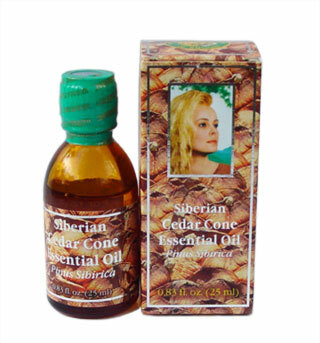 The carrier oils can be sweet almond oil, apricot kernel oil or cedar nut oil. Carefully cultivated, steam distilled, and always 100% pure, the essential oils in Ringing Cedars of Russia extensive collection are life-enhancing gifts from the plant kingdom, revered for centuries for their restorative properties to body, mind, and spirit. Under Ringing Cedars of Russia’s stewardship, pure essential oils are now re-emerging as a key solution to the challenges facing modern lifestyles. Cleansing, calming, stimulating, and soothing, Young Living’s therapeutic-grade essential oils deliver positive benefits to the body as aromatherapy, through massage, and when taken internally. Ringing Cedars of Russia’s line of pure, therapeutic-grade essential oils and unique essential oil blends are sourced from the world's finest plants. They are not diluted with chemical and synthetic additives and are carefully prepared to maintain plant integrity. This commitment to purity makes Ringing Cedars of Russia essential oils the world's highest-quality essential oil line.